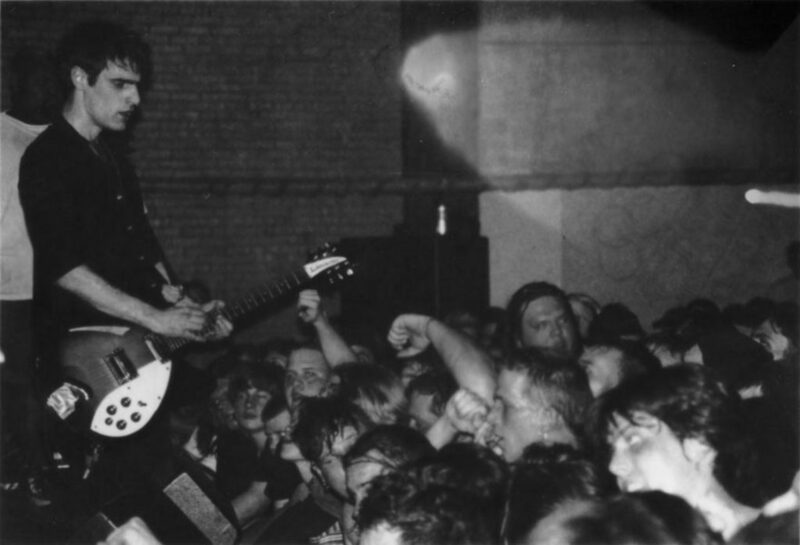 The fourth out of five Fugazi live performances in the city of Knoxville, Tennessee over the years, and the second out of three times the venue of choice turned out to be the Electric Ballroom. 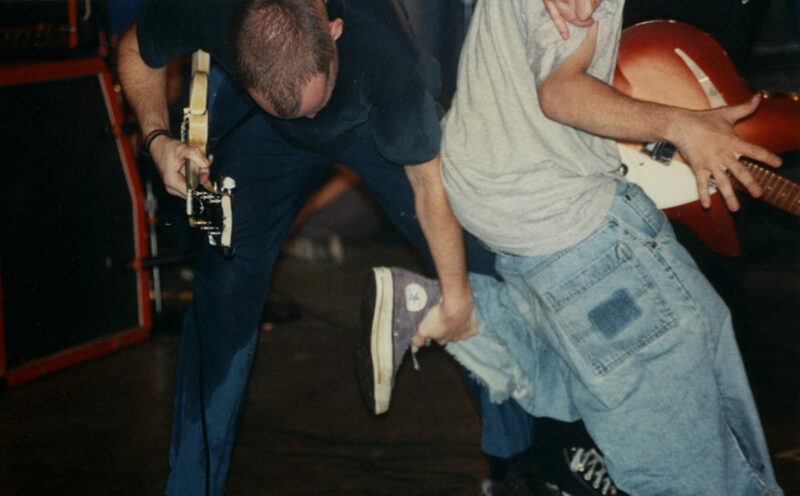 Excerpts from this infamous, and definitely confrontational, high-strung show (even more so than the Nashville gig on the previous evening) are featured in the Fugazi documentary Instrument by Jem Cohen, cf. partial footage of Joe #1 featuring a fan on trumpet (it doesn’t add much musically but kudos to the guy for playing with the band on such a turbulent occasion), Reclamation, Bed For The Scraping, By You and Promises. Unfortunately, the encore of the gig is missing, and with it alas that infamous scene from the aforementioned Cohen documentary, in which Ian holds some punk in a chokehold and (unsuccessfully) tries to get the character to apologize through the mic for spitting on him, before personally escorting him to the door. Still, 15 songs have been preserved for posterity and are presented here in an overall impeccable audio quality. The Red Medicine album is predominant (5 songs), with Steady Diet (3 songs) and the Kill Taker (2 songs) following suit. The other recordings available at that time add to the (partial) set list, with one song each. The performance is dependable overall, yet Promises, the instrumental take on Pink Frosty, or Blueprint are some of the songs which stand out for me personally. I recently found my original ticket to this show. It was one of those shows that makes a high school kid fall in love with live music. 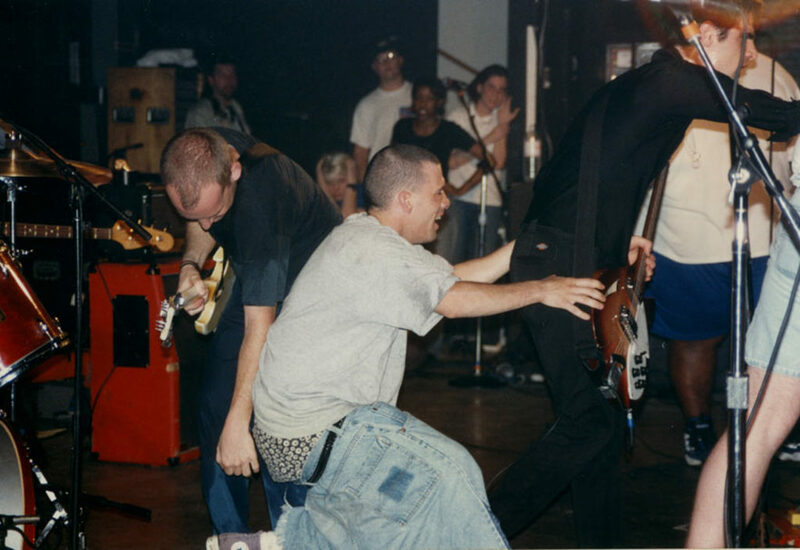 Love fugazi and loved the ballroom. The infamous Knoxville show as documented in the film "Instrument". Sadly, the encore was not recorded.